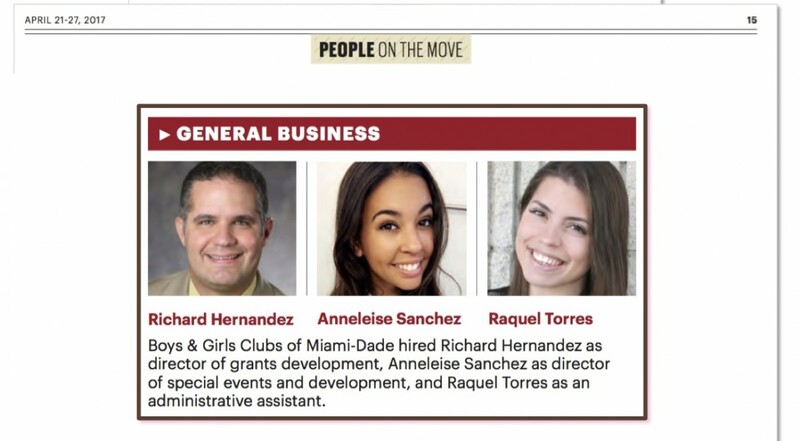 Sending a warm welcome to Richard Hernandez, Anneleise Sanchez and Raquel Torres who have joined Boys & Girls Clubs of Miami-Dade’s team. We are honored to be working with you and can’t wait to see the positive impact you have on our youth! Richard Hernandez has been appointed director of grants development, Anneleise Sanchez as director of special events & development, and Raquel Torres as administrative assistant.